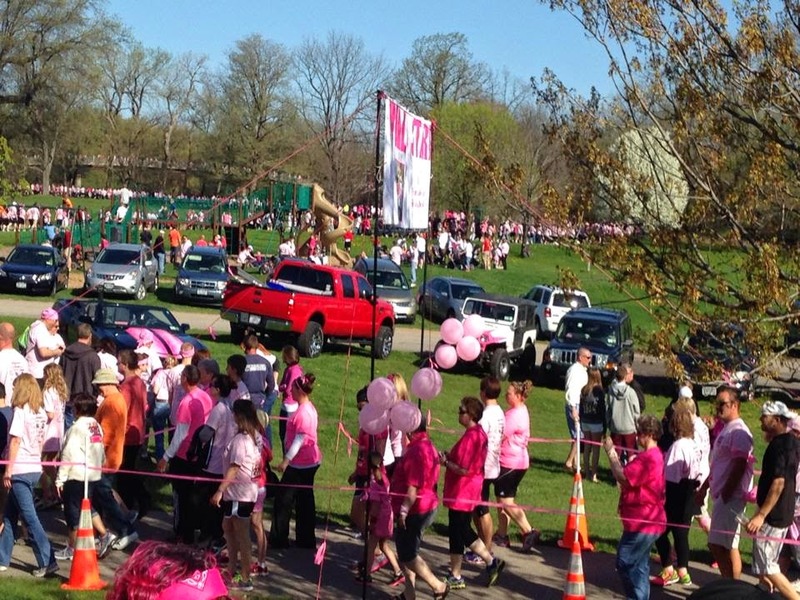 There's a race on Mother's Day every year in the Rochester area called the 'Pink Ribbon Run'. 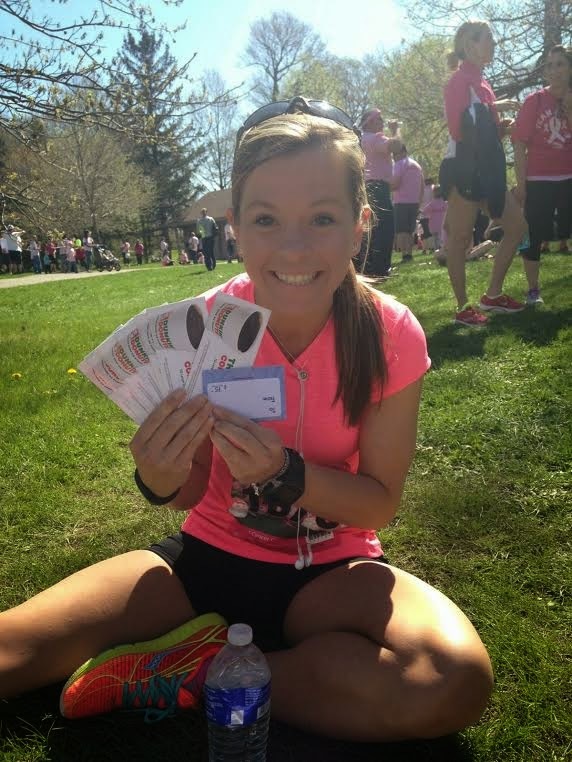 It is a 5k put on by the Breast Cancer Coalition of Rochester, and each year they raise an amazing amount of money ($175,000!!!). It was one of my first 5k's a few years back so it holds a special place to me personally as well. My family was at their cabin for the weekend(a few hours away), and as I had to work for the weekend I couldn't go. This meant I could do the race like I normally would, even though it meant not seeing my mom(I did get to take her for a pre-mothers day lunch last week though!). Last year Hollie & Heather came out to run it with me and we had a great time. I definitely missed having them there this year (but a 6 hour commute for 5k is a little much for Hollie, and Heather's hamstring was being a 'problem child'). I did however get to spend some time with a girl named Kelly who I used to live in the same apartment complex as a few years ago. It was her first 5k ever, and I was grateful to be there for her for that. I wanted to get some more miles in for the day so I actually ran to the race, it was a little less than 3 miles. Luckily it was a warm morning so I didn't have to worry about layers or anything to ditch or a bag with my things (ran with my spibelt for my phone/keys just in case). 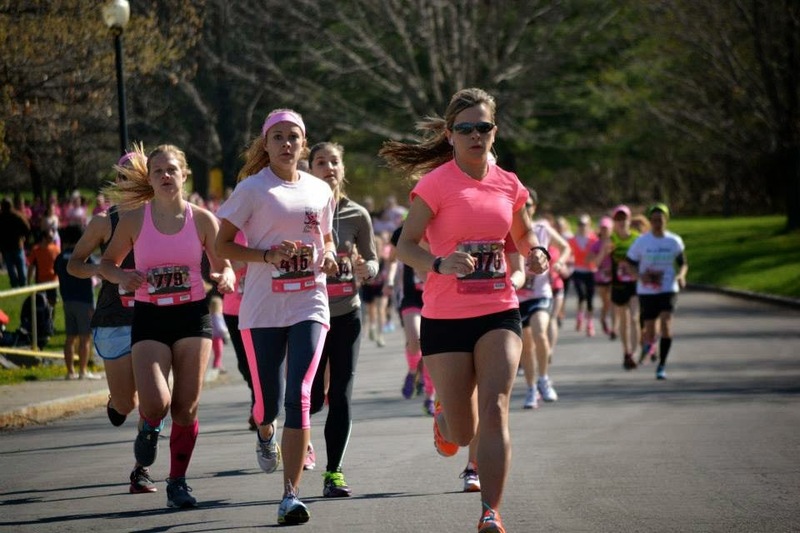 The 5k race is an all-women's race that usually gets over 1000 runners. There is also a walk option that men/women can both do (they get a few more thousand for that). In all, it's a huge celebration and fundraiser; as well as the most people you will ever see in every shade of pink. This year there was said to be over 4000 people between the run, walk and spectators. The start of the walk. If you look closely you can see the lines of pink wrapping around in the background too. Going into this I didn't have many expectations for a time. My legs had 50+ miles on them for the week and I had worked 72 hours in the 6 days prior to the race. Excuses, NO. Just me simply stating that I certainly wasn't going into this with a PR thought, I was going in with a "get a workout in while supporting a great cause" mentality. I also had to look back... I haven't ran a 5k since December's Reindeer Run which was 2 weeks after CIM. What can I say, I like longer stuff these days. It's not a horrible start considering the amount of people. Those of us looking for speedier times got right up on the line and didn't have issues finding our strides. This photo is legitimately in the first third of a mile where there are still people around. By the first mile marker it had really thinned out. I pretty much ran by myself after that and didn't have anyone in front of or behind me. I decided after running this course again, I REALLY miss the old course out by lake Ontario(out and back versus the many hairpin turns on this course). But, I am glad that the race is getting big enough that it needed to move....more money for a good cause. Overall I felt OK during the race, but I certainly wasn't feeling fresh. I actually ran pretty consistent splits which usually doesn't happen for me especially if I am by myself on a course. I saw my friend Kim cheering around mile 2.5 which helped give me a little boost before the last stretch. There was a clock at mile 3 and I knew at that point I was at least going to be under 20, which was the benchmark I had kind of set to be under even for a non-goal race. Certainly not my worst or best but I was happy with it. After I finished I got some water and stretched and cheered on incoming runners while waiting for Kelly. You know how hard it is to watch for someone you know, when EVERYONE is wearing pink. I almost missed her when she went by but somehow managed to catch her. Ran to the finish and chatted about the race, very proud! I finished in 5th place out of 1012, with a time of 19:49 (6:24 pace). That earned me first in my age group which had one of the best prizes EVER. By best prize EVER, I mean 100 (yes 100) Free Coffees and $75 to Wegmans. Coffee, and food....all a girl needs right? Nothing like feeling like you won a million bucks. I'm so easy to please it's not even funny. I wore my new Saucony Type A6 racing flats for the day to start breaking them in. I love my A5's but they are getting higher miles on them, the new version isn't much different which makes transitioning much easier. I'll probably rotate between the 2 pairs for the summer, but use the A6's for my fall marathon. Doesn't hurt that they are neon...again, so easy to please. After awards and chatting with Kelly, I headed back home with a smile on my face and a spibelt full of coffee coupons. I took a little longer route home and hit a section along the river a few times, part for miles and part because it was so freaking nice out and couldn't get enough of it. Sunday was also my only day off of both jobs for the week, which worked out really well seeing as it was a gorgeous day. After running home, I spent some time lounging by the pool at the gym and then caught up with my friend Sabrina for Froyo and coffee that evening. Not a bad day at all, some R&R time was much needed! 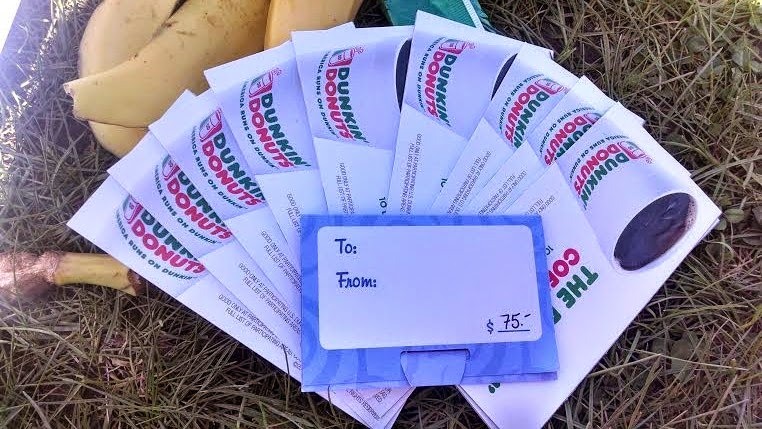 Best prize you have received at race (besides cash!)? Congratulations on your 5th place and winning that amazing prize! I would personally love to win a gift card to a grocery store. I love winning gift cards to running stores and all but sometimes you just need food or funds are tight for the month and groceries would help more. And free coffee is always delicious... but 100 of them? That's just awesome. 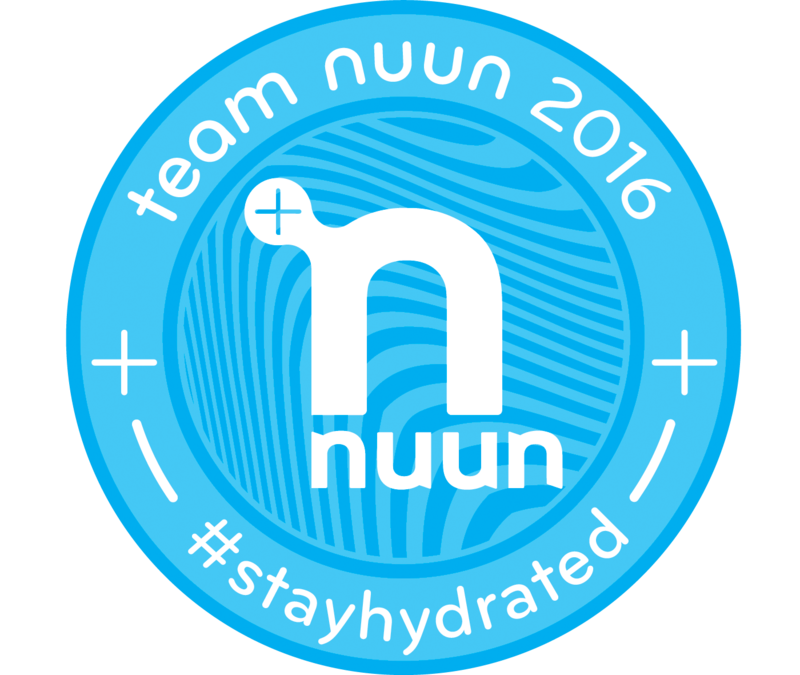 Your time was really good for a 5K even though you aren't really into 5Ks. 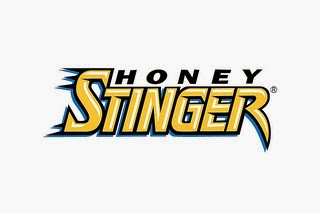 I'm glad you were able to do a race for a great cause and that it was so big it had to move, even if that makes the course tougher. Yay sounds like a great race and congrats on the coffee cards I would have been over the moon happy about that too! Congrats!!! I ran to my 5K this weekend too. Twinsies! And that is a freakin sweet prize!!! If I hadn't had to work Saturday, I would have come up. I'm not joking LOL. I'm glad you got a sweet prize despite not feeling fresh. I really like that photo of you too. It looks awesome. What a cool price!!! I've only gotten a shirt and a gift certificate, they were both great prices, just kind of the usual stuff. Congratulations on your fast finish time, sooo fast!